Posted in 1MDB Scandal, Anwar Ibrahim, Corruption, Democracy, Governace, Leadership, Malaysia, Najib Razak, Pakatan Harapan, Politics, Public Accountability, Public Policy, reform, Rule of Law, The New York Times, Tun Dr Mahathir Mohamad, UMNO. COMMENT | The terms – felon, conman, outlaw and crook – are only applicable upon conviction in a court of law. Until then, if he had attempted to cover his misdemeanours and delinquencies, he remains a dissembler or fibber. If through a series of explanations which cross the thick line between offering an excuse and telling an untruth, he remains a prevaricator, fabricator or in much simpler language – a liar. While the hunted tries to wriggle out of his self-inflicted woes, those who had previously sought and received a share of the spoils – from chunks to crumbs – seem to have jumped the sinking ship. Others have decided to fight it out like lions and tigers for control of their remaining territory. The man who brought in the druids, shamans and oracles to offer “protection” has abandoned the hunted too. The prayers and chanting for all the wrongs and sins of the hunted, his wife and the family, have ceased. This man himself is of soiled character. He was the chauffeur until he “stole” the boss’ wife and moved up to hob-nob with the Joneses. He brought the soothsayers from all parts of the world in looking forward to monetary rewards. If until May 9 he was untouchable, the banks have now moved in demanding repayment of millions in loans. How he is going to get out of the mess is anyone’s guess. But then, would you be disappointed or surprised if he joins the hunter and share the dark secrets of the hunted in return for freedom? Then there’s another man who could walk in and out of the any of the several mansions belonging to the hunted. Having been short-changed in some deals, he decided to squeal – identifying the many shady characters that participated, partook or offered advice on the injudiciousness and indiscretion. The shady lawyers who were instrumental in the midnight meeting where the decimation of senior government officials was discussed are considering various options. 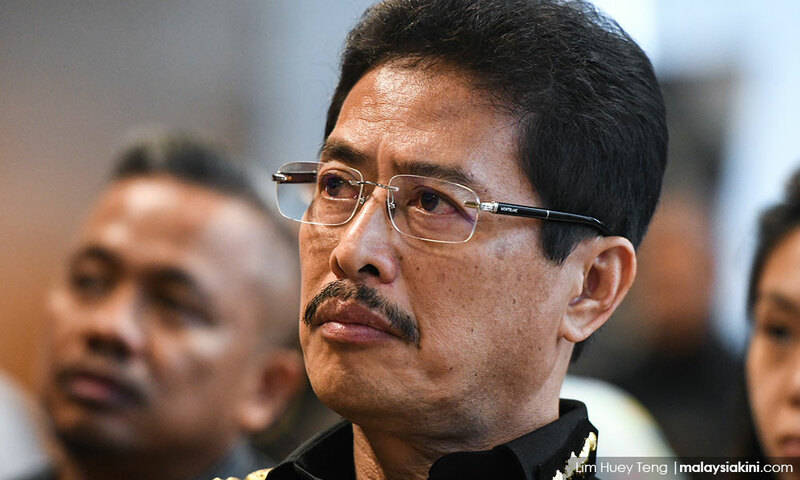 When the future of the then MACC Chief and the then Attorney-General was debated, the passive one suggested that they be asked to resign honourably. But the more aggressive one banged the table and insisted on an immediate purge. “Show them no mercy. Send them to the slaughter house,” the hunted and his siblings, who co-acted as advisors, were told. In a reversal of roles, they just followed thy servant’s command. The days of these men of the law making headlines are over. They have retreated into their cocoons and even the slightest grunt or groan, if heard by the hunter or by the hunted, will mean trouble. Many read the writing on the wall and have exited via the back door while others are waiting to be shown the door. In both instances, they have been and will walk down a creaky and inflexible staircase. Others who handled finances and were part of the thievery have conveniently “migrated” to neighbouring countries. But their freedom is not likely to last long. The long arm of the law will get them. The supply of ‘dedak’ or animal feed to many has been cut. With the hunted’s coffers drying up and with the cash in the condominium taken away for safekeeping, there’s no more automated teller machine (ATM) dishing out money like Smarties or M&Ms from a vending machine. Already, some have begun to sing like canaries awaiting some form of amnesty, reprieve or forgiveness. But no one is in the mood to forgive and forget and move on. This has become an overused cliché – most recently repeated by the hunted but rejected by the hunter. The time has come for the hunted to pay his dues. His guilt will be proven and he will join a long line of hunters who became the hunted. No one is going to show mercy or have any sympathy because the level of imprudence and thievery are inexcusable. When citizen’s funds have been misused and their personal freedom and rights have been impeded or trampled upon, there’s no room for any option or discretion. Once indicted, the iron gates are going to be clanged shut, padlocked and the keys kept in the hunter’s custody for a long, long time. It will be a deterrent for those who cannot control his greed and or his wife. She may live happily ever after knowing that some of the ill-gotten gains will remain untouched by the hunter – for her to enjoy. After all, finding another soul mate (she’s experienced in this) will never be a problem with all the dosh that she is flushed with. 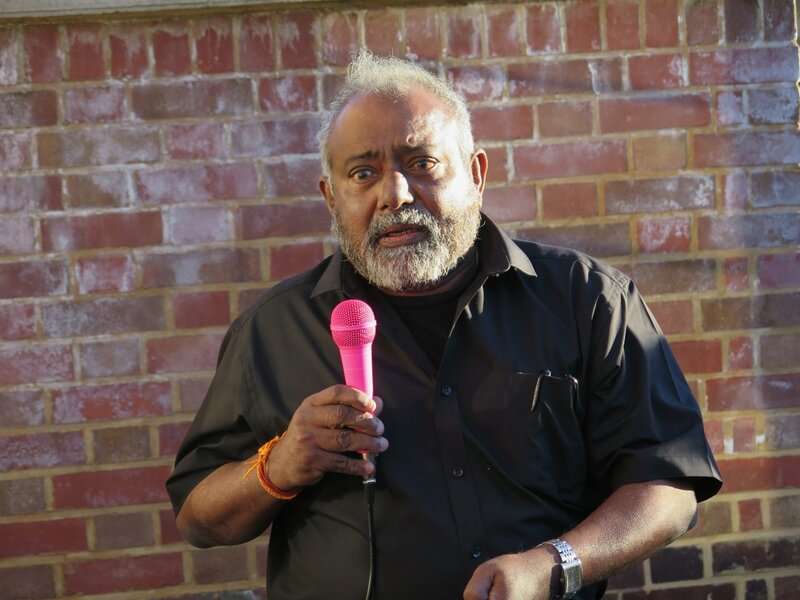 R NADESWARAN is a veteran journalist but has decided to turn storyteller for a change. It may not have been a parable but this story of the hunter and the hunted will certainly put the fear into the few who have been putting their hands in the till. Comments: citizen.nades22@gmail.com. Posted in 1MDB Scandal, Character and Integrity, Civil Rights, Corruption, Crony capitalism, DAP, Democracy, Fiscal Mess, Freedom, Governance, Justice, Kleptocracy, Money Laundering, Murder, Najib Razak, Pakatan Harapan, Parti Pribumi Bersatu Malaysia, Politics, Rukun Negara, Rule of Law, Tun Dr. Mahathir Mohamad, UMNO. Luckily we had a new government after the May 9 General Elections. If Barisan Nasional (BN) were to continue running this country, more unimaginable things could pop up. 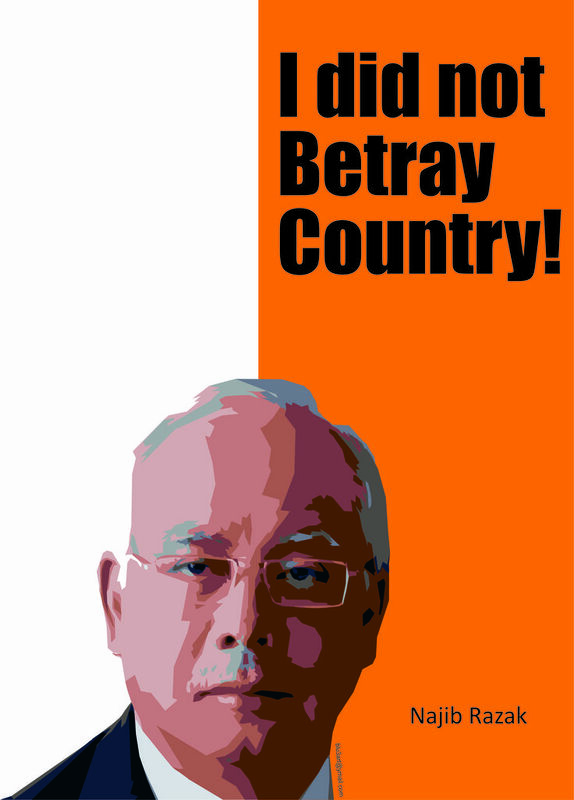 Najib Razak belongs in jail for betraying Malaysia. What is wrong with you, Zahid Hamidi? Imagine Najib were to remain as our Prime Minister. First of all, the economy would continue to go downhill because BN would have to honor its election pledges, including pay raise for 1.6 million civil servants from July and RM5,000 bonuses for each Felda settler. Government’s operating expenditure would continue to rise at the expense of development expenditure. If this goes beyond what the government could cope, GST rate would be further revised upward. Secondly, the hidden debts could burst, including RM199.1 billion government-guaranteed debts (14.6% of GDP) and RM201.4 billion lease payments for public-private partnership (PPP) projects. The government would be victimized if the companies involved could not settle their debts. The BN government would likely siphon resources elsewhere to settle 1MDB’s immediate debts. 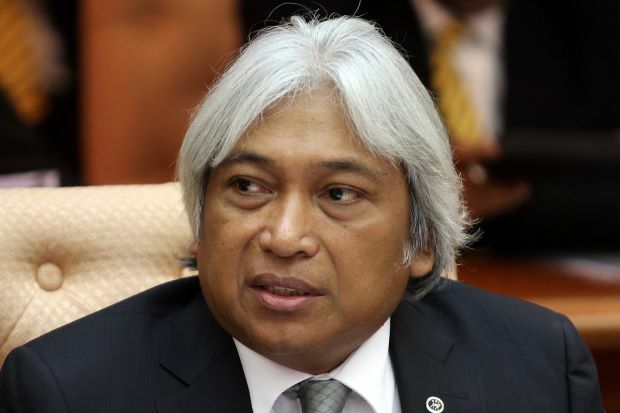 Bank Negara reportedly purchased a 22.58-hectare plot of land for RM2 billion in the name of constructing a financial education center. The money was subsequently used to settle 1MDB’s end-2017 debt. With 1MDB unable to honor its debts and interests, if BN were to remain as federal government, it would continue to cover up and siphon resources from somewhere else to settle 1MDB’s debts, which would snowball to unthinkable proportions, while the world would continue to be kept in the dark over the scandal. Meanwhile, politics has penetrated deep into key national institutions, infinitely expanding the executive powers and rendering the checks and balances mechanism basically dysfunctional. The Parliament and other institutions would not raise a question over such irregularities and acts of contempt of law would keep happening in future. From the many things revealed after the 14th General Elections, including the confession by AirAsia Group CEO Tony Fernandes that he had come under tremendous pressure from the Prime Minister’s Office to express open support for BN shortly before GE-14; and revelation by MACC Chief Commissioner Mohd Shukri Abdul that his life was in danger while he was probing SRC International and the RM2.6 billion political donation, forcing him to momentarily flee to the United States. All these point to the fact that BN leaders were in jitters to cling on to power. If BN were to remain the government, press freedom would be further eroded. The previous administration also exploited all sorts of racist and religious tactics to divide the people, trying to raise fears among the Malays for DAP. All these are time bombs that could go off anytime. Fortunately we now have a two-party system that would bring acts of racism under control. The so-called TN50 is just an excuse, and the damages inflicted upon democracy and the Malaysian society by the autocratic ex-regime will only grow by the day. Given the complete mess left behind by the previous BN administration, little wonder Prime Minister Tun Dr Mahathir has described his premiership this time as a very challenging one given the highly uncertain environment when compared to when he took over the same job for the first time in 1981. Tun Mahathir also said he was inheriting a practically destroyed country, financially and institutionally. It is foreseeable that rebuilding the country is never an easy task. 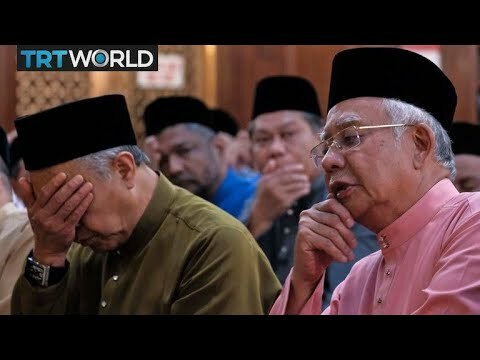 It will take a lot of drastic measures to trim the debts (the PM has announced to scrap the KL-Singapore HSR project), not to mention PH needs to honor its election pledges, including financial aid ahead of Hari Raya, RM50 monthly EPF contributions for housewives, deferment of PTPTN loan settlement for borrowers earning less than RM4,000 a month, abolition of highway tolls, etc. With the saving from axed mega projects channeled instead to fulfilling election pledges, do we still have anything left to stimulate the country’s economy? Moreover, the eroded independence of the three branches of government need to be restored through legislation to accord independent status to the Attorney-General’s Chambers and MACC, among others. Consequently, PH may need to enlist the help from outside to reverse the existing racist policies and antiquated economic models while drawing up more liberal new policies to lure foreign funds and expertise in pushing ahead institutional reforms and economic transformation. PH’s electoral victory is widely perceived by the world as a positive development. It is now time for the new government to introduce new policies to expedite the rebuilding and re-engineering of this country. While the 2018 elections have buried the hypocritical “1Malaysia” in favor of a “New Malaysia”, the journey ahead of us is by no means smooth, and we all must do our part to see to its success. Posted in 1MDB Scandal, Bank Negara Malaysia, Corruption, Finance Minister L Guan Eng, Fiscal Mess, GE-14 Malaysian General Election, Governance, Law and Order, Money Laundering, Najib Razak, National Debt, Pakatan Harapan, Politics, Public Accountability, Rule of Law, Trade and Investment, Tun Dr. Mahathir Mohamad, UMNO. COMMENT | It is a given that elections in Malaysia are unfair, but GE14 takes this unfairness to new lows. Malapportionment, gerrymandering, back-door movements of voters, alleged phantom voters, manipulation of regulations, and apparent bias of government officials are seriously discrediting this election like no other. This article looks at the potential impact of these manoeuvres and argues that given the competitiveness of the contests, these factors have the potential to seriously influence the result. The analysis below is based on an assessment of changes at the polling station level on parliamentary seats using 2017 fourth quarter electoral roll (the one to be used for the May polls), drawing from a study of voting behavior across the past four elections, and aims to take account of a broad range of factors shaping electoral integrity. The embedded advantages the BN government have are significant and should not be underestimated. There has been extensive analysis of the March 2018 delineation exercise, what I am calling the “front door” delineation as it is open to the public and easier assessment. Analysts have pointed out that the malapportionment means that the BN can win a majority of seats with as low as 16.5% of the vote and that the delineation imbalances representation away from urban areas, Chinese communities and was inconsistently applied in rural areas along partisan lines especially in favour of Umno. They have also note the partisan “packing” and “cracking” of seats in the gerrymandering, which has resulted in many close seats favouring BN. Most of the discussion has centred on close races or marginal seats such as Lembah Pantai and Hang Tuah Jaya (formerly Bukit Katil). There have been four dimensions of the analysis to date that have not been properly raised. First of all, there is greater sophistication in the movement of voters this time around, tied to the advantage that the BN has with information and technology (GIS mapping). Much of the movement is subtler, less obvious but equally as calculating. Second, it is not only race that is being used to move voters, but class and histories of voting patterns in areas. Lower class areas are being moved, for example, as they are seen to be more susceptible to vote-buying and electoral promises. Traditional areas that vote in established patterns have been also moved to shore up seats, such as the movement of a PAS-leaning village and its polling station into a competitive seat, with the hope that this movement, for example, will allow the three-corner fight to allow BN to win. Third, with the movement, there are winners and losers. Much of the analysis centres on the BN and particularly UMNO’s advantages, but not all the BN component parties have benefited to the same degree and some individuals within parties have benefited more than others. The delineation exercise has a personal dimension, with winners such as Hishammuddin Hussein and his new ‘military’ camp in his area of Sembrong, discussed below. Equally important in the analysis is the need to acknowledge that the movement has come from somewhere, so that other seats have become “safer” (in the case of packing votes in these seats, e.g. Beruas and Damansara (formerly PJ Utara)) or more competitive as a result of the movements (Johor Bharu). Finally, the delineation exercise is based on assumptions about voting behaviour. The history of 2018 Malaysia’s delineation exercise has been that while UMNO has disproportionately benefited, especially in the election right after the exercise, that many of the assumptions do not hold over time as voting patterns change. The decision to create mixed seats backfired in 2008, as did the creation of more Malay majority seats in 1999.
that three-corner fights would split the vote advantaging the BN and vote-buying would continue to be decisive in shaping outcomes, especially in rural and lower class areas as well as in key states such as Sarawak (which has had its own delineation exercise in 2016). In the 2018 exercise, it was also assumed that UMNO’s base – the civil service and large sections of the Malay rural heartland – would stay with the BN. How much these assumptions play out in the election will shape the effectiveness of the BN in using the delineation to its advantage. I raise this, as voting that contradicts these assumptions – such as less impact of money or defections within the military as occurred in 1999 – weaken the expected delineation effects. It is important not to just look at the “front door” exercise alone, as much of what has happened has not been in public purview. The polling station analysis is perhaps the best viable way to assess systematic changes that are more hidden, as they allow us to drill down to effects in communities. The analysis below looks at changes in voter levels and composition at the polling station level. Here we find changes in areas that were not part of the 2018 delineation exercise, such as in Sabah. We also get a better sense of the breadth of changes happening to the electoral terrain as a whole. The “backdoor” manoeuvres focus primarily on voter movements and additions. Under the “backdoor” measures, there has been the introduction of new voters to areas in the form of military “camps” in areas such as Sembrong, Segamat, Bera, and Bagan Datuk (where BN ministers Hishamuddin Hussein, Subramaniam, Ismail Sabri Yaakob, and Zahid Hamidi are incumbents and contesting again), concerns about the surprising movement of voters from one polling station to another (including families in the same house), re-emergence of voters who have passed away and the ‘immaculate’ registration of voters who appear on the roll but did not register. These developments raise a different set of issues. First is the systematic voter suppression that has occurred since 2013. 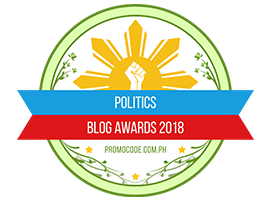 The changes to the voting registration process, namely taking away the ability for political parties to register voters and making the post office the focal point of registration rather than through an automatic system, have depressed voting. BN has had the advantage in registration as many of their appointees in local communities have still been able to register voters. There have been complaints that even those who have registered through the post office have not necessarily seen their vote on the electoral roll. There are 3.8 million voters who have not been registered, a record amount compared to earlier elections. This decline in voter registration is more impactful in some places rather than others. While most of the lack of registration has occurred in urban areas and among young voters, states such as Sabah and Selangor have been most affected by this lack of voter registration. A second factor is the number, placement and composition of new voters. The national average increase in voters since 2013 in a seat is 16%. Some seats are above the average as a result of the “front door” delineation changes, e.g. Kapar or Hang Tuah Jaya. Other seats have been affected by either significant registration in the seat by parties (BN or opposition, e.g. Tebrau) or unexplained placement of voters in seats, e.g. remote Pensiangan and Kinabatangan. Where these new voters are placed, and in line with how those areas have voted, suggest potential inclinations for voting. Questions are raised in some of these areas about the origin of these voters as well, e.g. the alleged Rohingya voters in Langkawi for example. Third, is the issue of advance (military and police personnel with their spouses) and postal votes (traditionally overseas voters but now expanded). In 2013, 23 seats or 10.3% of the overall Parliament was determined by advance/postal votes, e.g. Segamat. These votes are equally important this time around, as advance votes comprise around 300,000 voters. 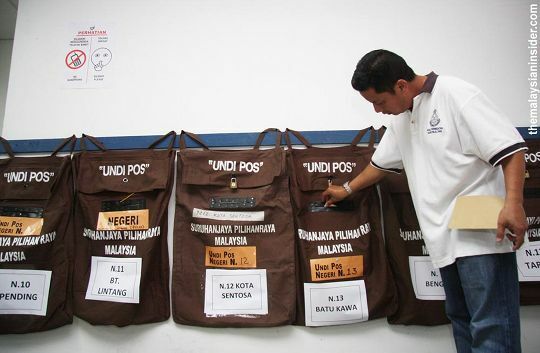 What distinguishes GE14 is the expansion of categories of postal voters. In October and December of last year new categories of voters have been added, civil service in the Prisons Department, Fire and Rescue Department, Police Volunteer Reserve, Immigration Department, and National Registration Department. We have yet to have a full assessment of the number and placement of these ‘new’ postal votes, but they may reach another estimated 300,000 voters, potentially doubling the count and the electoral impact on outcomes. Importantly, there is less transparency in postal voting compared to both advance and polling day casting of ballots, as candidates are not able to know who they are, where the votes will go until days before the election and whether they are in fact, legitimate voters. These changes have taken place in an environment where access to the voting roll has been more restricted, with soft copies not readily accessible and addresses of voters (crucial for assessing reliability) have not been listed in the final version. These changes have also taken place in a process where it has become harder to challenge the voting roll, as charges of RM10 have been imposed for questioning one individual voter and if the objection is rejected a penalty up to RM200 is imposed. At the same time, there have been systematic “objections” against younger and Chinese voters on the part of partisan actors that appear dubious and orchestrated, and have had the effect of removing some genuine voters from the roll, notably perceived opposition voters. These measures have only served to raise further questions about the integrity of the electoral roll and undermine the credibility of the electoral process. Given these dimensions/assumptions and looking at the history of voting in different areas, what then does the analysis at the polling station level tell us? A word of caution as you read ahead. This analysis is an estimate, based on past voting rather than what might happen next week. It includes an assessment of a combination of the “front and back door” delineation changes that are accessible, including changes due to the boundary and seat changes, registration of new voters and changes to advance voters. It does not include the potential effect of postal votes as this information is not yet available. The findings show that a substantive level of calculation and broad scope changes have taken place in the electoral terrain. Of the 222 parliamentary seats, the changes are estimated to affect 119 of the seats or 54% of the overall seats. 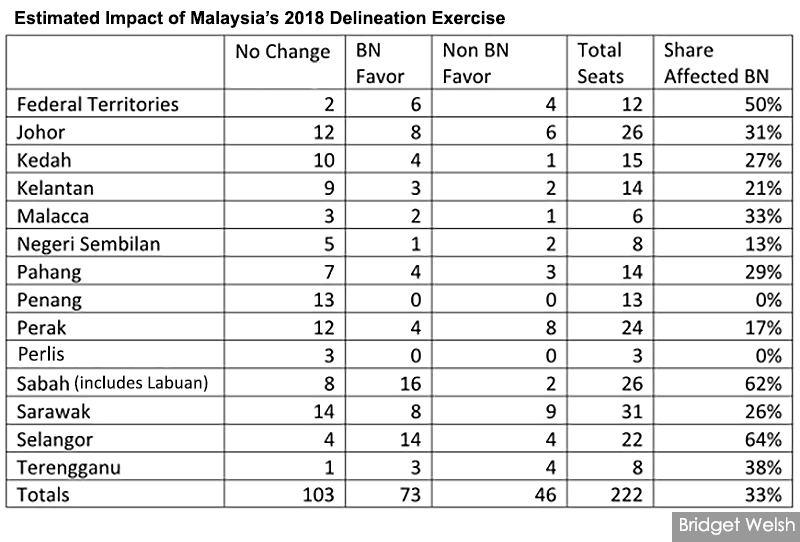 Of these affected, disproportionately 73 or 33% of the overall Parliament changes to seats favour the BN, while 46 seats or 21% favour the opposition. This is a significant advantage for the BN, as the changes have largely occurred in competitive (marginal) seats. Many changes have not occurred in “safe” BN seats, such as those in Perlis. Also, changes in favour of the opposition in seats are their “safe” seats, such as Damansara (previously PJ Utara). The opposition has also had some areas not affected at all, e.g. Penang. However, two of the most competitive states – Selangor and Sabah – have the largest number of seats affected, making these states much more competitive than before, and disproportionately these advantages are in BN’s favour. Among the more competitive seats delineated that are estimated to favour BN are Alor Setar, Bandar Tun Razak, Bangi, Baram, Batu Sapi, Bukit Gantang, Dungun, Gombak, Hulu Langat, Hulu Rajang, Jerantut, Kalabakan, Keningau, Kota Kinabalu, Kota Raja, Kuala Nerus, Kuala Selangor, Kuala Trengganu, Kuantan, Kubang Kerian, Kubang Pasu, Kulai, Lanang, Lumut, Lembah Pantai, Merbok, Muar, Pandan, Penampang, Pensiangan, Pokok Sena, Pulai, Sarikei, Segamat, Semporna, Sepanggar, Stampin, Tawau, Tenom, Temerloh and Wangsa Maju. Among the seats delineated that are estimated to work against BN and thus remain competitive or have become safer for the opposition, are Ayer Hitam, Bakri, Bentong, Besut, Kota Melaka, Johor Bahru, Kuala Kedah, Marang, Pengkalan Chepa, Pasir Mas, Rompin, Rasah, Setiu, Taiping, Tambun and Tapah. Let me pull out a few from above that have not received much attention in analyses to date. Consider Johor Bharu – long held by Umno veteran Sharir Samad, who is contesting again. Not only does he have the taint of being Felda chairperson amidst its scandals, he now has a less favourable seat to contest in as a result of movement of voters outside of the new boundaries. JB has moved from “safe” to “competitive” seat due to changes. Consider Stampin in Sarawak. This seat has become more competitive for BN this election as a result of the removal of around 18,000 voters during the 2016 delineation exercise. These voters have been placed into the DAP “safe” seat of Bandar Kuching. Stampin is now more competitive for BN’s Dr Sim Kui Hian. The delineation factor was also critical in the BN win for Sim in the 2016 state elections. Let’s examine Sabah, where the effects are a product of voter movement. The placement of new voters in many of the Kadazan/Dusun/Murut seats, such as Pensiangan and Keningau, are estimated to advantage the BN. These seats remain highly competitive. On the East Coast of Sabah, the highly competitive seat of Batu Sapi also sees new voters coming in traditional polling areas that have favoured the BN. This seat, for example, has long been accused of having illegal voters registered. The list is long, as the changes are comprehensive and deep. How then should we assess these potential effects? On the one hand, it would seem that the BN has done whatever it can to put itself in the most advantageous position. It is has done so openly and with more additional opaque measures, arguably the most comprehensive attempt to skew the electoral terrain to its advantage. The full extent of the electoral impact of the changes is not yet fully clear. It is also important to recognise that all the changes are not to BN’s advantage, as some of the seats have strengthened the opposition, notably DAP e.g. Bandar Kuching. BN’s Achilles heel is that it is dependent on the accuracy of the assumptions that went into the delineation exercise. If these assumptions prove not to pan out as expected, BN is vulnerable. BN is also dependent on people carrying out the measures to make these changes effective, e.g. money will need to go down to voters as opposed to staying in the hands of elites. Given the fluidity in GE14, and the anger at Najib himself within the system, these cannot be guaranteed for his government, although the incentive of money inside the system is strong. The fact that the Najib government has introduced the breadth of changes it has, undermining the electoral integrity and skewing the electoral field to such an extent, is not a sign of strength but weakness. It remains to be seen whether the imbalances in the system will reach a tipping point that has the potential to backfire on Najib himself. Is Sabah ready for political change? Posted in 1MDB Scandal, 2008 Elections, Democracy, GE-14 Malaysian General Election, GE13, Justice, Malaysia, Malaysiakini, Najib Razak, Pakatan Harapan, Politics, Sabah and Sarawak, The Malays, Tun Dr. Mahathir Mohamad, UMNO. COMMENT | In May last year, under a blaze of publicity, six police officers including an OCPD and district crime chiefs in Malacca were arrested by the MACC for running a protection racket involving gambling dens. The big news was that anti-graft officers seized RM186,000 in cash and froze the bank accounts of all the suspects, totaling more than RM459,000. Almost a year later, there has hardly been a whimper from MACC. In July last year its Deputy Chief Commissioner (Operations) Azam Baki, in denying the files have been closed, said investigations against a few Malacca police officers “are still in progress” without interference from the “higher-ups”. In September last year, two brothers, who hold “Datuk” titles and are top officials of a family-run group of companies, were arrested by the Malaysian Anti-Corruption Commission (MACC) over an ongoing probe into a land deal between a group of settlers and the Great Alonioners Trading Corporation Bhd (Gatco). The suspects, who are aged 54 and 58, were picked up by MACC officers in separate operations. Also arrested was the 68-year-old accountant who, in his capacity as a liquidator, had detailed knowledge of the land deal. Five days later, they were released without charge and it was business as usual. On March 7 – less than a week after allegations were made, the MACC cleared UMNO supreme council member Abdul Azeez Abdul Rahim of allegations that he had received an RM3 million bribe to help ‘cover up’ a probe into the Penang undersea tunnel project. Azam (photo) said the Commission’s investigation showed no evidence of Abdul Azeez’s involvement in the matter, and that the accusations were deemed as ‘baseless.’ He added that the commission had retrieved documents to assist in its investigation and its subsequent probe had cleared Abdul Azeez. “Based on our investigations, Abdul Azeez did not have any direct links to the Penang undersea tunnel project or those closely related to the project’s construction. MACC has verified the documents gathered pertaining to the case, before arriving at the decision,” Azam said. These three contrasting scenarios are telling indeed and offer a glimpse of how the MACC treats offences and offenders. The public exoneration of Abdul Azeez shows how efficiently and speedily it can “close” a case and why it takes sometimes months to even years to produce the offenders in court or publicly absolve them of any wrongdoing. In the Gatco case, the MACC, after holding the trio for five days, found that the sale of the land was done in accordance with the law and there was no corrupt dealing, that the land was sold in an auction. Subsequently, even the courts deemed that nothing sinister or illegal was done. How many of those arrested by the MACC have been accorded the same treatment given to Abdul Azeez? How many people have been publicly exculpated after being arrested and detained? How many people have been photographed in the orange suit, only to be released without charges? Our law enforcement agencies, especially the police and the MACC have often lamented that the people are not coming forward with information on criminal activities. No one should blame them because of the different rules being applied, based on the position and status of the accused person. Why should one come forward with information when he or she knows that the case would be classified as NFA (No Further Action)? Why should one bother when some people are immune from prosecution, let alone be arrested for purposes of investigations? Without accusing or insinuating that there has been wrongdoing on the part of Abdul Azeez (photo) or anyone else, this whole case is shrouded with an air of mystery and leaves a bad taste in the mouth. When someone sends a demand letter, what is expected is a reply. For all intent and purpose, it was a civil case, where one party is demanding the return of monies paid. There’s nothing criminal about this transaction. Instead, Abdul Azeez lodged a police report on the demand of RM3 million which Consortium Zenith Construction Sdn Bhd had supposedly paid as consultancy fees. 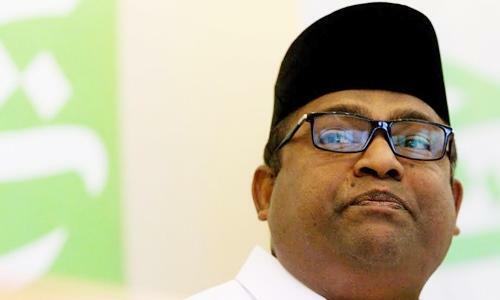 Abdul Azeez denied ever having any dealings with the company – the special purpose vehicle (SPV) of the mega Penang undersea tunnel project – or its Senior Executive Director Zarul Ahmad Mohd Zulkifli. Hopefully, we don’t have to wait long. The Penang State Secretary has written to Zenith seeking explanation on the course of events that had taken place. Chief Minister Lim Guan Eng, too, wants the truth from the horse’s mouth. This report should be put in public domain for the rakyat to decide who was wrong and who was right. Is that asking too much? Posted in 1MDB Scandal, civil society issues, Corruption, Crony capitalism, Governance, Money Laundering, Politics, Rule of Law. *Greg Lopez is a lecturer at Murdoch University Executive Education Centre. He is interested in the links between individual agency, governance, economic growth and political stability. The first article identified 18 different terms (from World Bank publications) that are confused or used interchangeably with corruption. In the first instance, let us explore how corruption is linked to these other terms. It may help explain why the terms are often confused or used interchangeably. The Integrity Vice Presidency (INT) is an independent unit within the World Bank Group that investigates and pursues sanctions related to allegations of fraud and corruption in World Bank Group-financed projects. The INT’s scope of work is fraud and corruption but also included is collusion, coercion and obstruction (see first article for these descriptions). Stated differently, in INT’s definition, corruption will potentially also involve fraud, collusion, coercion and obstruction. Maybe, but you are the most corrupt Prime Minister in Malaysia’s History. Looting the National Treasury is a Breach of Trust. It is embezzlement. In Tina Soreide’s (2014) World Bank study titled, “Drivers of Corruption — A Brief Review”, she states that ‘corruption takes a variety of forms’, and proceeds to list them as follows: crony capitalism, embezzlement, extortion/extortive corruption, facilitation payments, kickback, kleptocracy, lobbyism/campaign finance, patronage, queue corruption, regulatory capture, rent-seeing, and state capture (the descriptions are provided in the first article). In Soreide’s (2014) approach, there are at least 13 different ways within which corruption can take place. If there are 18 different ways to describe corruption or corrupt acts — with some of it being legal and others, not — what exactly is corruption? The literature on corruption indicates that the concept of corruption is as old as civilisation — indicating clearly, its persistence. 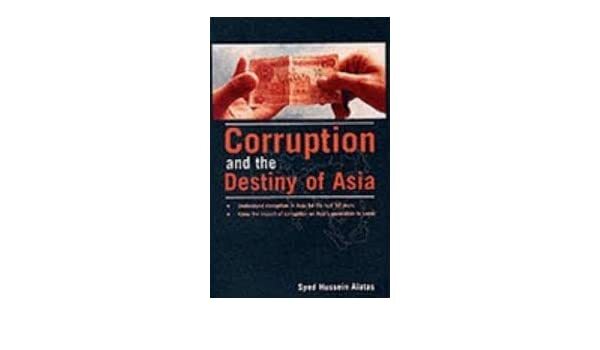 Syed Hussein Alatas (1999) in his book, Corruption and the Destiny of Asia provides among many analysis, an informative analysis of corruption through the ages. In analysing the Islamic scholar Abdul Rahman Ibn Khaldun (1332-1406 AD), Alatas stated that Ibn Khaldun considered the root cause of corruption to be the passion for luxurious living within the ruling group. It was to meet the cost of luxurious living that the ruling group resorted to corrupt dealings. Kautilya, a key advisor to Chandragupta Maurya (c 317-293 BCE) writing in his book Arthasastra, identified corruption as a human condition. Humans, Kautilya noted, were fickle and that no virtue such as integrity and honesty would remain consistent. While not using the human condition to justify corruption, Kautilya proposed elaborate and extreme sets of measures to weed corruption out of government — referring specifically to leaders tasked with running the government such as tax collection, implementing various government regulations, etc (T. Kumar, 2012) [pdf]. Genaux notes that these “injustice” was perpetrated by those in power or with authority (kings, judges, magistrates, etc.) against those who relied on their leadership/judgements/decisions (e.g. subjects, citizens). The review above suggests that the essence of corruption (which covers all different types of corrupt act), is an “unjust act” committed by those “in/with power” (the powerful) against those “with less power” (the powerless) for the benefit of the powerful because it is within human nature to act in such manner. What do you think of this description of corruption? Posted in 1MDB Scandal, civil society issues, Corruption, Crony capitalism, Ethics, Governance, Kleptocracy, Money Laundering, Najib Razak, Nepotism, Politics, Public Accountability, Rule of Law, Tun Dr. Mahathir Mohamad, UMNO.